If you're not familiar with Twitch, it is one of the top live streaming sites which specializes in gaming and lifecasting. Twitch is an Amazon subsidiary and boasts over 2 million broadcasters and 15 million daily active visitors. Streamers will live stream themselves playing video games, creating music, cooking, to just walking around enjoying the sites of a city. Viewers can support their favorite broadcasters financially through monthly subscriptions, bits (Twitch's token tipping system), or through donations via 3rd party (most commonly Paypal). These donations are usually alerted through an API and will have a pop-up notification on a streamer's screen. 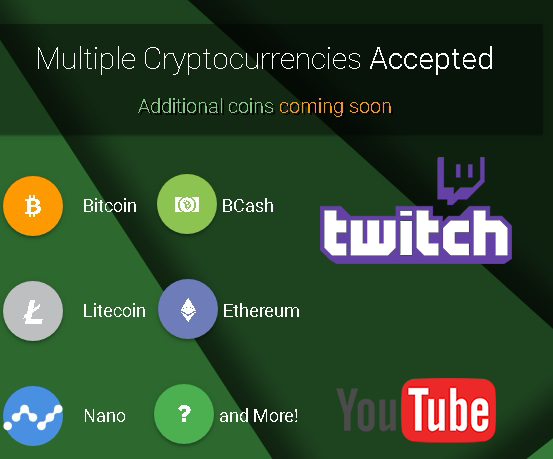 Twitch has recently made headlines in crypto news by adding Bitcoin as a payment method to subscribe to streamers. A monthly subscription can be anywhere from $5-$25, generally with a 50/50 splits between Twitch and the streamer. 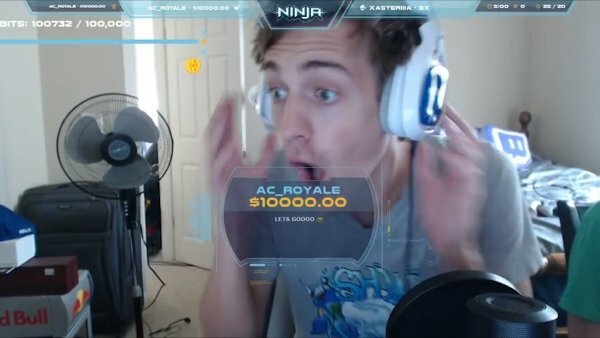 All though a stable subscription revenue can be great for streamers with large viewerbases, many smaller streamers receive most of their income from donations. Being the nature of the website, many streamers are tech enthusiasts and have added wallet address to accept cryptocurrency donations on their profile panels. The one main downfall of accepting crypto donations was not being able to connect crypto wallets to alert the stream on screen when received. Twitch Partner Jaku has tackled that issue and created 1UpCoin. 1UpCoin's platform is designed to work for Twitch and YouTube streaming platforms. 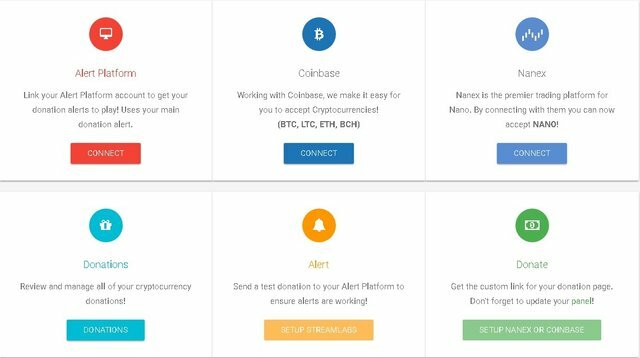 By connecting Twitch/YouTube, Coinbase/Nanex, and StreamLabs/StreamElements's (donation alert system) APIs, crypto donations can received and alerted on screen, in real time. 1UpCoin is currently only using Coinbase and Nanex's API system, so the currencies available for streamers are BTC, ETH, LTC, BCH, and NANO. There are plans to add other altcoins in the near future. The process is fairly simple, even for those who are not familiar with sending and receiving digital currency. A streamer would just need to log in to the 1UpCoin platform with their Twitch account, link their alert platform, link their Coinbase/Nanex wallet, then add the donation link to their profile. That's really all there is to it. Streamers will be able to earn more by accepting multiple forms of payment and viewers can support their favorites in different ways than fiat. The 1UpCoin platform does not charge any fees nor have access to coins at anytime. Donations go directly to the streamer's Coinbase or Nanex wallet, and from there they can sell their crypto for fiat or hodl and transfer to a hard wallet for more security.